Dr. Joshua Abzug was named a Top Doctor in the specialty of Pediatric Orthopaedics by Baltimore magazine in 2016 and 2018. Dr. Abzug is a pediatric orthopedist who has completed specialty training in problems related to the entire pediatric upper extremity and fractures involving the whole body. He is actively involved in teaching medical students, residents and fellows as part of his position at the University of Maryland School of Medicine. In addition, he teaches numerous physicians at the local, regional and national levels. 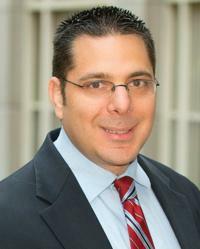 Dr. Abzug is also actively involved in research projects pertaining to the pediatric upper extremity and has presented his findings locally, nationally and internationally. This research has been published in medical journals. Dr. Abzug has also authored multiple book chapters. By college, more than half of competitive gymnasts & cheerleaders have had upper limb surgery from injuries caused by a negative impact to their growth plates during development. Dr. Abzug is the only fellowship-trained pediatric upper extremity surgeon in the region, and offers specialized care for these athletes. He is also involved in an NIH clinical trial that studies how a specific injection can help to prevent injury and development complications in upper limb growth plates. The UM Department of Orthopaedics believes in transparency in the reporting of external professional relationships of faculty members with healthcare-related businesses. Dr. Joshua M. Abzug disclosed the following external professional relationships.